Heavy-gauge construction. Baked enamel finish. 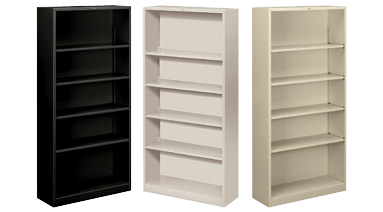 Shelves are easy to adjust and strong enough to handle heavy loads. Shipped fully assembled. 5 shelves. 34-1/2W x 12-5/8D x 71"H. Contains a minimum of 30 % post-consumer recycled material. Putty.